Sweeping the streets before the mikoshi procession. 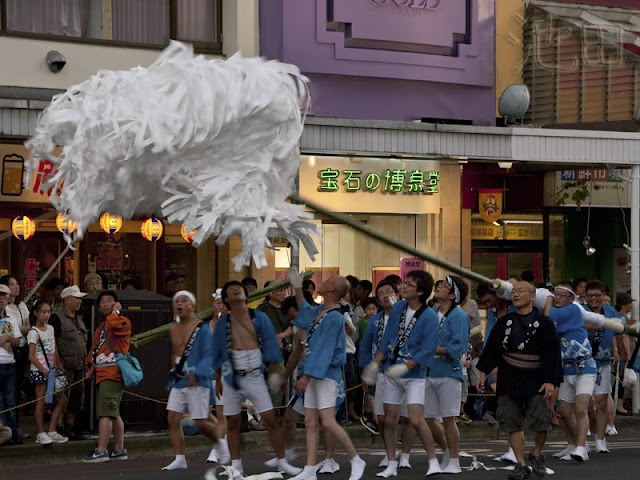 It's a shinto purification ritual carried out on a grand scale. There were several of those onusa-like mops out on the streets yesterday. They all gathered in front of the shrine and purified the heck out of everything in sight. 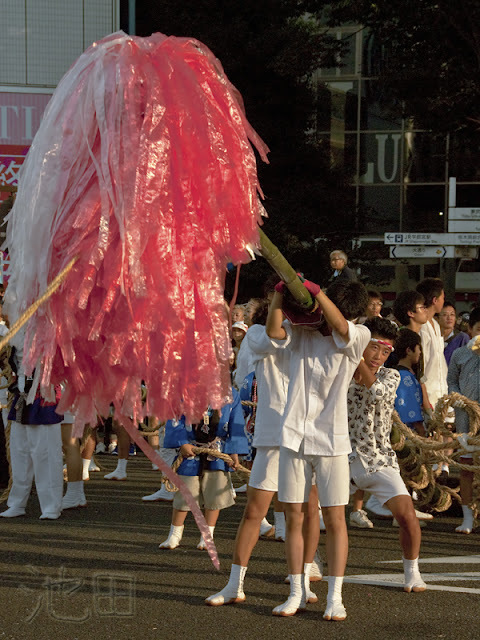 Each "mop" was carried and operated by a team of people who had to perfectly coordinate all the pulling and waving and lifting it up and down. Definitely a big job. The "mopping" teams were followed by guys and gals with garbage bags, who dutifully picked up every loose shred of paper. 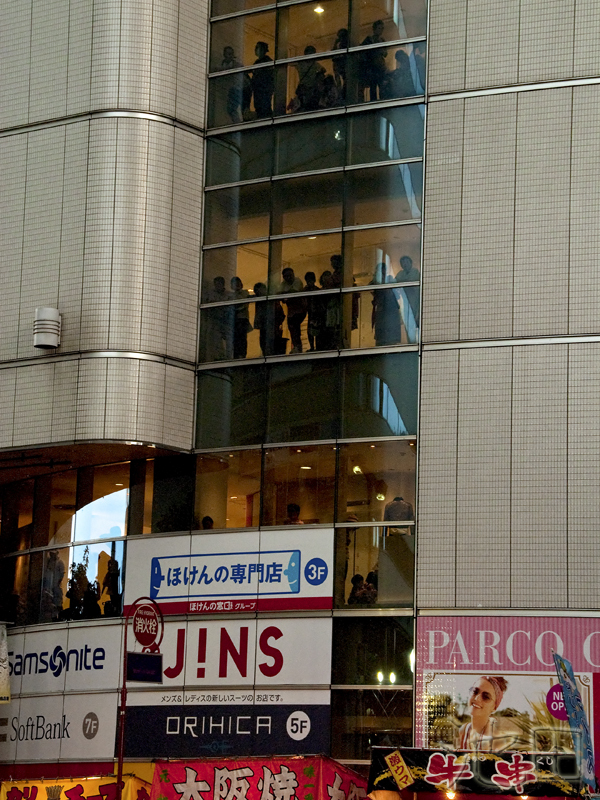 The best place to watch this ritual was from the windows of Parco (shopping mall). Those spectators were the lucky ones. It started to rain within minutes and those of us on the streets got miserably wet.